Here’s some music apps that I’ve tried out for my iPad. Most or all are available for the iPhone and iPod touch. Grades 1, 2, 3, 4 and 5 Music Theory Flashcards, £1.19 for each grade. These are quite basic flashcards, similar to the handwritten flipper study cards that I give to my students to prepare them for their theory exams. They do not go into great depth about explaining the meaning of the terms, for example, a flash card will tell you that this symbol is ~ is a turn, but it will not give the meaning of a turn as it will expect you to know this already or look up the information in your theory book. This is a brilliant app to test note naming. For piano beginners, one of the most critical skills is learning how to read music. The faster you can read the notes, the easier it is to play beautiful music. This app is developed to help you improve your piano sheet reading skills. When the game starts, Piano Tutor will display a random note on the piano sheet. Simply try to play the note using the on screen keyboard as fast as you can. When the game is over, you will see on average how long it takes for you to recognize the correct note. Music is nothing without rhythm and I recommend metronome practice to all my students from beginner level to advanced. Traditional wooden metronomes are quite pricey, and the digital credit-card sized metronomes beep in a rather annoying way, so the free iBeat app is brilliant as it’s a visual, ticking metronome. 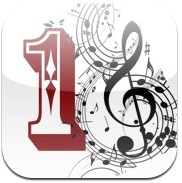 This is by far the best notenaming app out there, starting off with 10 notes in the right and left hand. Right hand – middle C to G, left hand, Middle C to F. There are five levels in total. You have to recognise a note and then press the correct key on the keyboard. It is on a timer but it doesn’t keep a tally of your wrong notes. I find it best to ask students to say the notenames out loud before pressing on the keyboard. It is really good to check students are learning by notename and not finger number. This entry was posted in ipad, iPhone touch, ipod, music apps and tagged kristine gore, music theory iPad and iPhone apps, notenaming apps for iphone and ipad, piano flash!. Bookmark the permalink.